Welcome to Stenhuggarleden in Vånevik! Follow the path of QR codes and experience the beautiful environment and its history: walk along quays which were paved for more than 100 years ago, explore the tracks of old railways and enjoy the sun reflected in water-filled quarries. In the late 19th century Vånevik became the center for stone industry in Kalmar county, and the environment would gradually changed forever. Boulders from the area became war memorials in Germany or sent all the way to Australia and the United States. 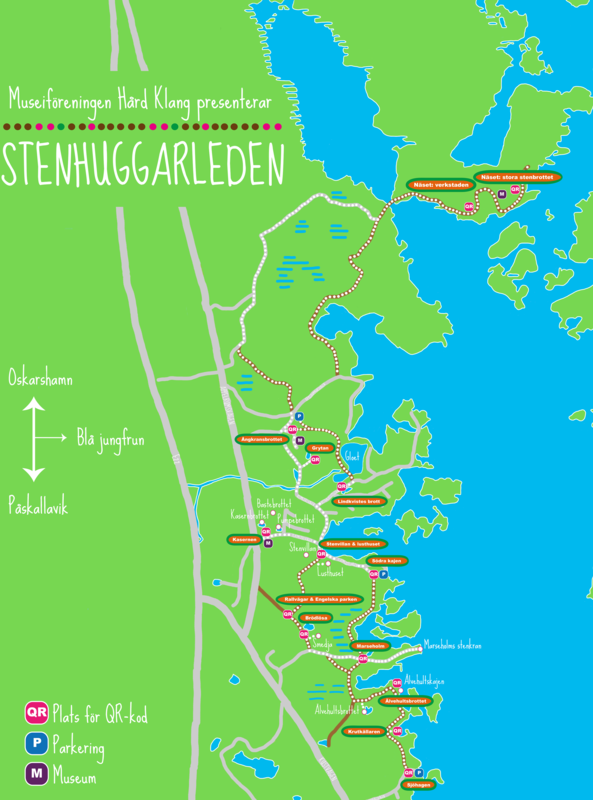 You are now at Sjöhagen, the southern gateway into the area. Here you can see large and small quarries, a well kept gunpowder magazine and several shipment quays.